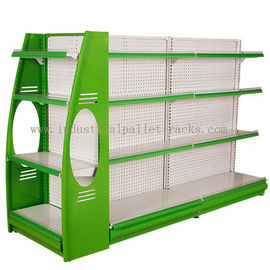 Stores & supermarket shelf, comes with upright frame, beam, shelving deck,loading capacity from 30kg to 50kg per level, upright frame height 1350 to 2350mm, shelf deck wide from bottom to up 31cm, 25cm, 25cm, 20cm , 4 levels is standard unit, flexible add shelf or delete, level distance flexible to adjust up and down, Easy assemble and dismantle frame. 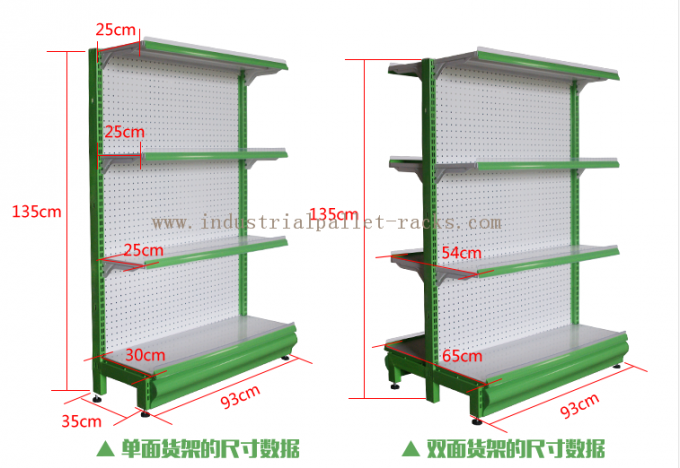 As convenient display shelving racks, it is popular used in Pharmacy stores, convenient stores, supermarket and display shop etc. 5 wide works in pharmacy, convenient stores, supermarket, display shop, snack bar etc.